On the 26th (Tue), don't miss a visit to Chateau de La Roche-Guyon, take in the architecture and atmosphere at Eglise Sainte-Radegonde de Giverny, then explore the world behind art at Musee des impressionnismes, and finally admire the natural beauty at Fondation Claude Monet. To find maps, where to stay, photos, and tourist information, you can read our Giverny travel itinerary planner. If you are flying in from United States, the closest major airports are Paris-Orly Airport, Charles de Gaulle International Airport and Paris Beauvais Tillé Airport. 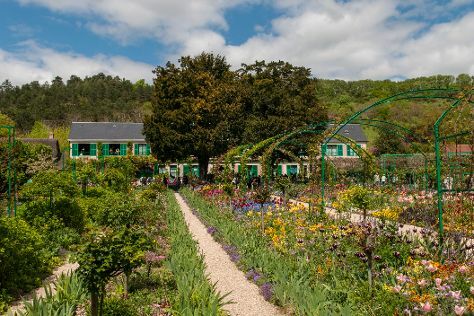 In March, daily temperatures in Giverny can reach 53°F, while at night they dip to 36°F. Wrap up your sightseeing on the 26th (Tue) early enough to travel back home.